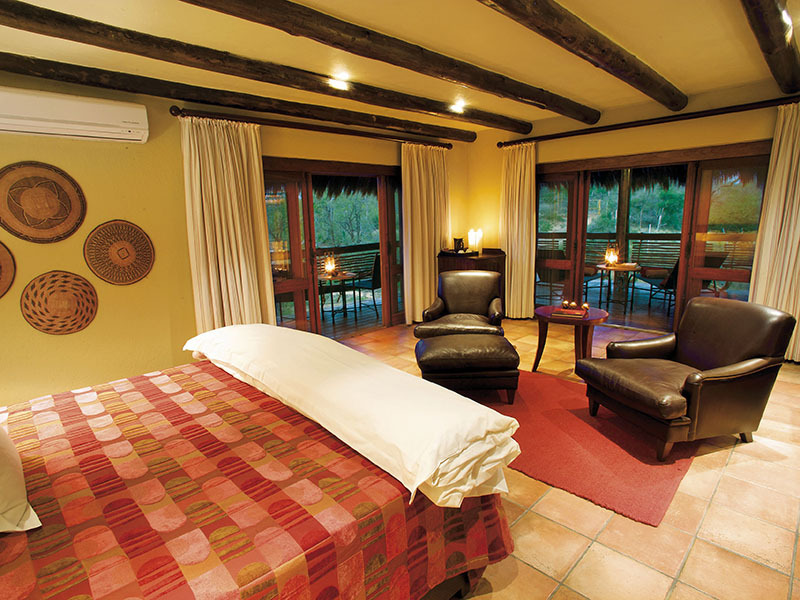 Kapama River Lodge sits against the glorious Drakensberg Mountains and is the largest private game lodge in the Kruger National Park. 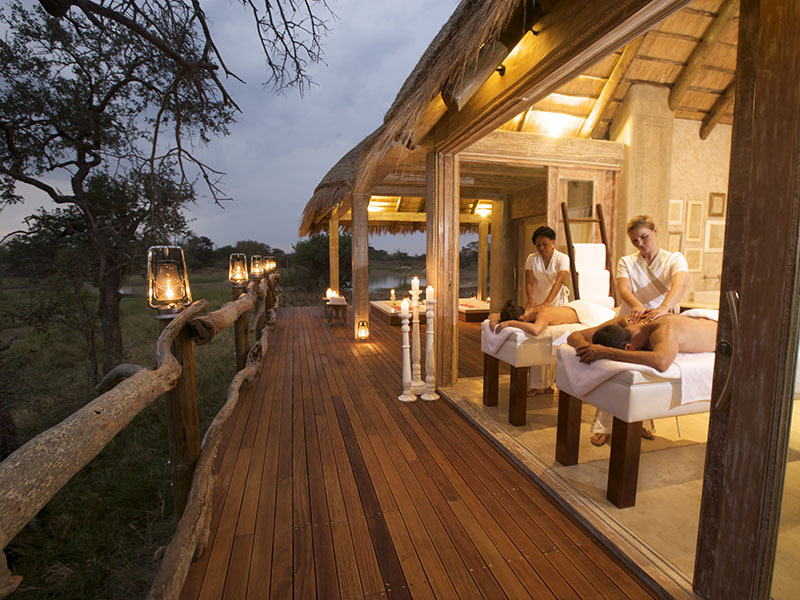 Tucked away in the privacy of the russet bush willow trees surrounding a lush African spa sits a splendid wellness centre offering tranquil massages. 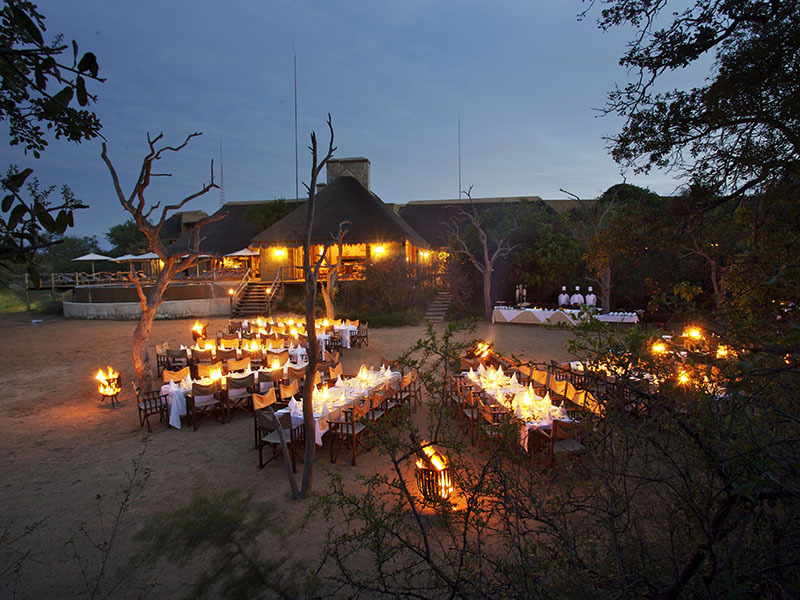 A host of activities to relish in; including hot-air ballooning, clay-pigeon shooting and bushveld sleep-outs. View the Big 5 on early morning and evening game drives, this untouched part of Africa is home to fascinating, majestic inhabitants! 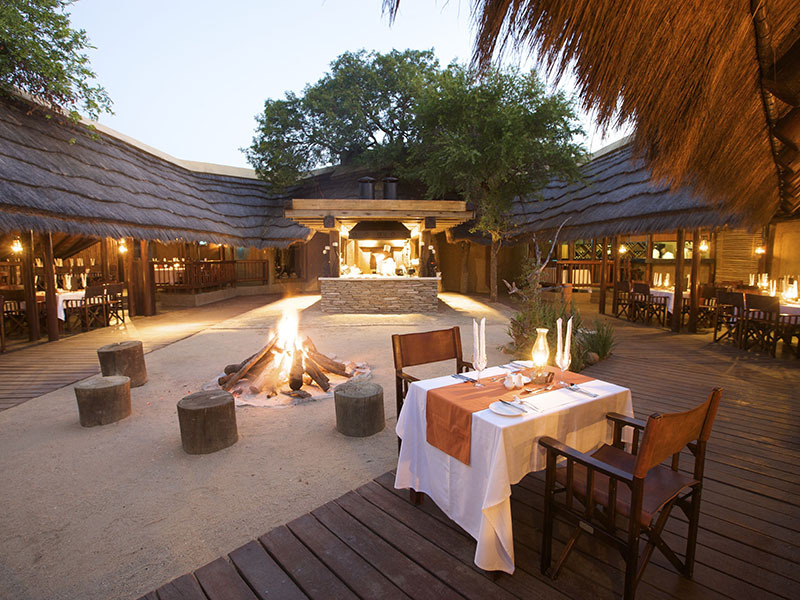 Book a few unforgettable nights at Kapama River Lodge – the largest luxury game lodge in the greater Kruger National Park area where elephant safaris are the focus in this huge private Big 5 game viewing concession. 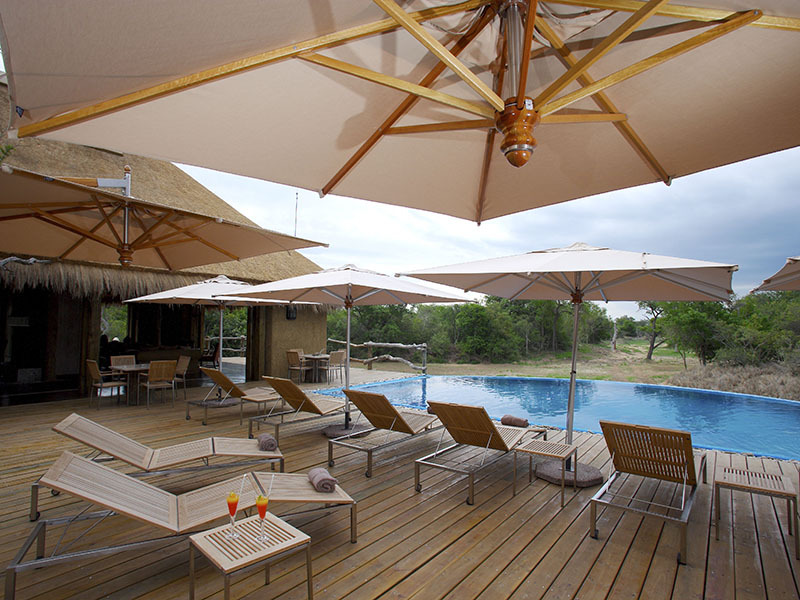 Business delegates come for the wildlife and the use of the world-class media room/conference centre and most visitors book all-inclusive packages with meals, teas and coffees and two guided game drives per day. 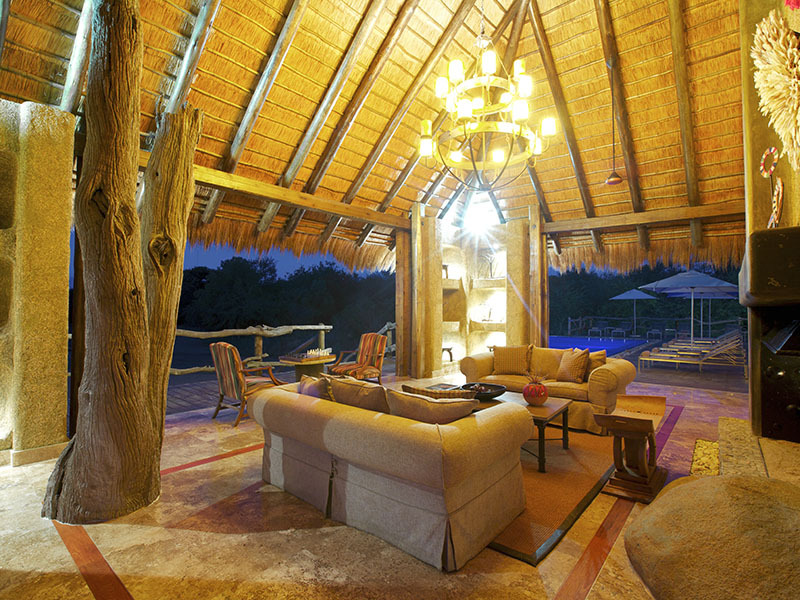 The character is everything at Kapama River Lodge and décor impresses in African sunset colours of burnished bronze, reds and golds. Relaxing around the pool is a must on hot, summery days. 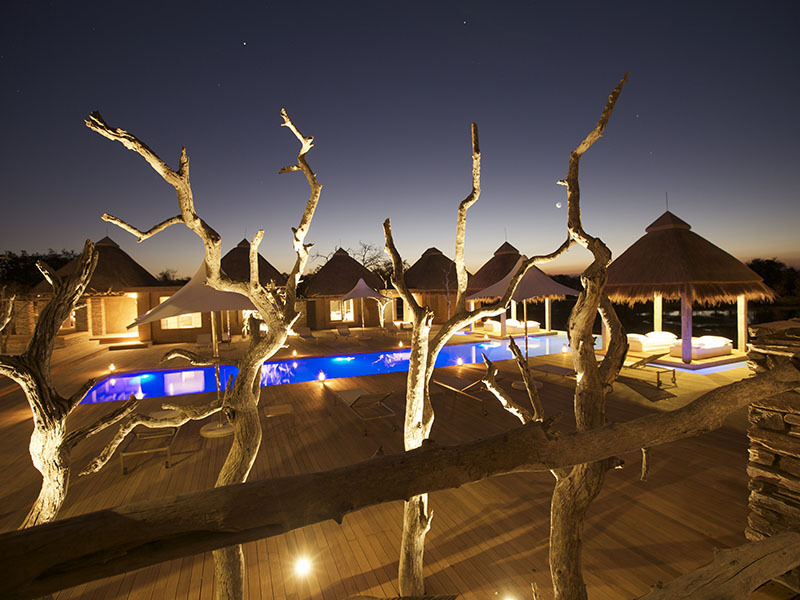 The lounge and bar areas boast authentic African artefacts under double volume thatch while expansive glass doors open onto the rim-flow pool. 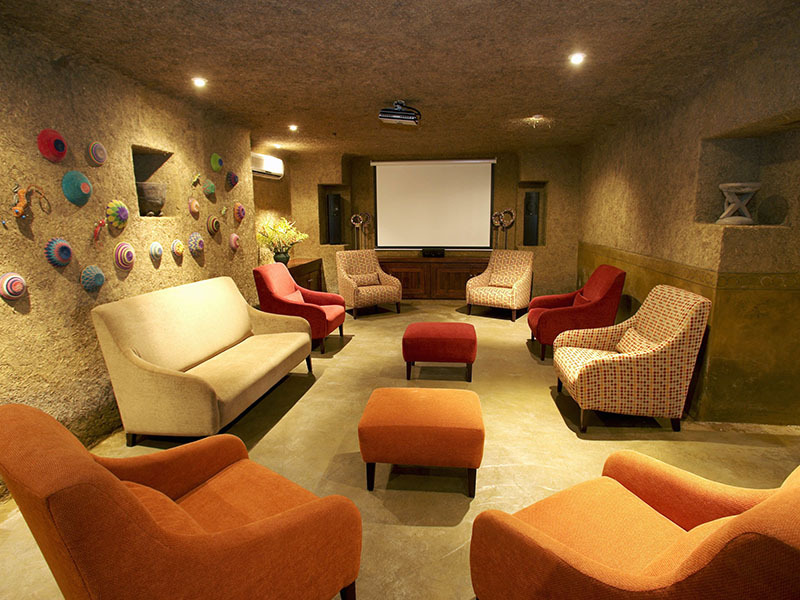 Dine outdoors or sip a cup of freshly brewed coffee while wild animals stroll along the boundary. 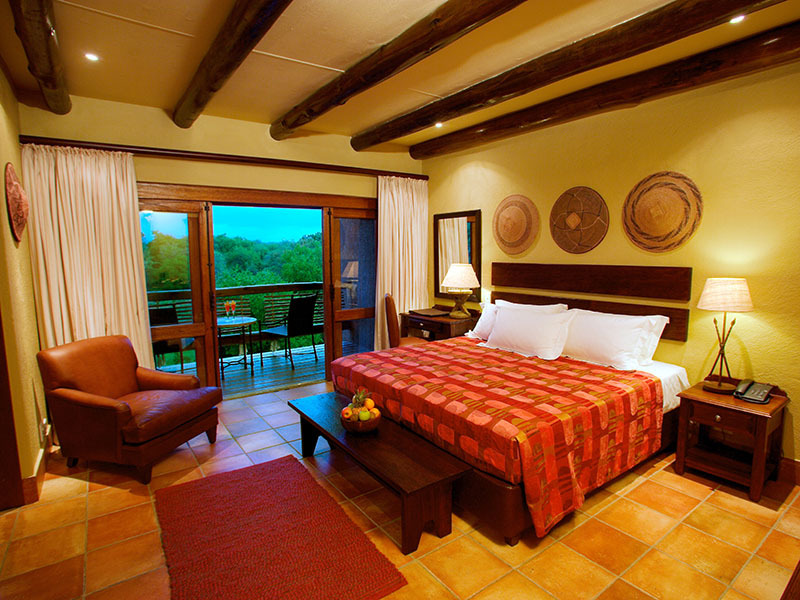 Find plenty of safari accommodation for well-heeled guests in 62 suites situated along a curve of the seasonal Kapama River. 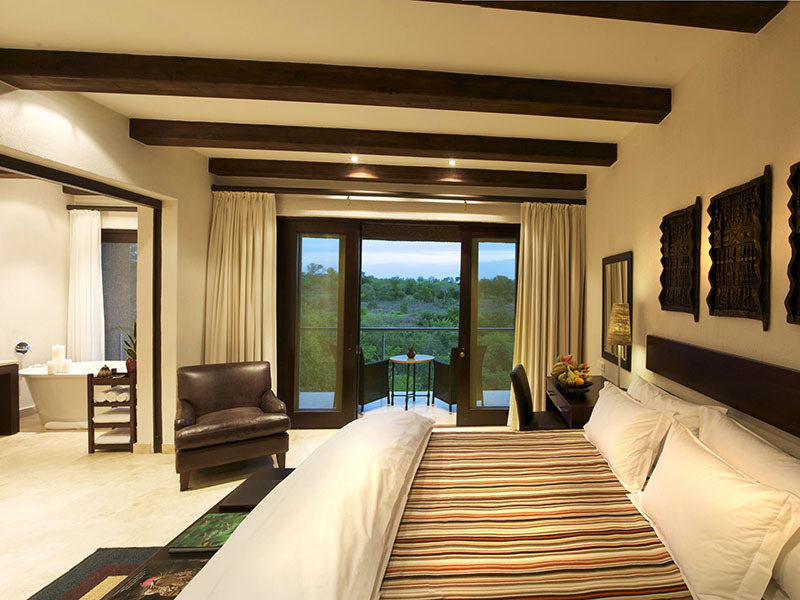 Choose from 40 Standard Suites, 16 Spa Suites, 4 Family Suites and 2 luxurious Royal Suites. Self-drive from Johannesburg: Along the N12 or N4, eMalahleni (Witbank), eMakhazeni (Belfast), Emnotweni (Dullstroom), Mashishing (Lydenburg), R36 to Ohrigstad, Strydom Tunnel, Hoedspruit, R40 to Klaserie, Kapama. 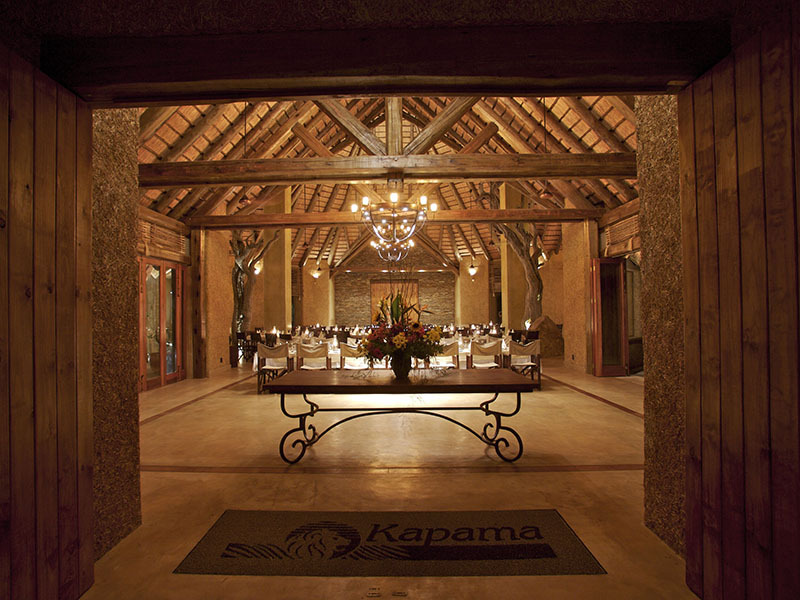 Kapama River Lodge can receive fly-in guests of scheduled flights from the nearby Eastgate Airport in Hoedspruit. 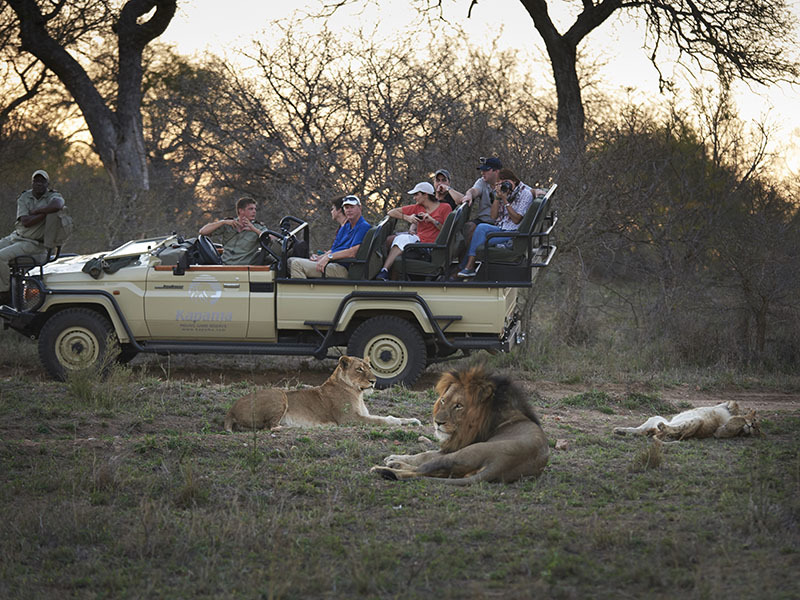 Jump on the free transfer open air game viewing vehicle which drives you the 10 minutes to your suite.